Different types of locks are available in the market today. Starting from simple door knob locks to keyless locks and deadbolts, there is a specific lock designed to suit different types of doors and their respective security needs. Before you head towards the market for buying any lock for your home, it is better to learn about different options you would have. Whether you are planning to upgrade your locks or are mere interested in keeping yourself updated about the latest technology, you will find the following information very useful. They offer security through the use of a metal cylinder that project through the door jam and into the wall to secure the door. They are usually used with door handle locks for further protection. They require a key to lock them from the outside. If properly installed, they offer sufficient security to residential homes by protecting the doors leading outside. These locks are least secured locks available in the market. They are simple locks that are contained within the handle of the door. They just prevent the handle from rotating and are often used on bathroom doors and other inside entryways because they are quite easy to break. Another type of lock in this category comprises of a simple button that is found next to the door handle and works in the same manner. They work just like their name depicts. There no key for entry and the door can be locked and unlocked by using a specific code that the user enters into a keypad. 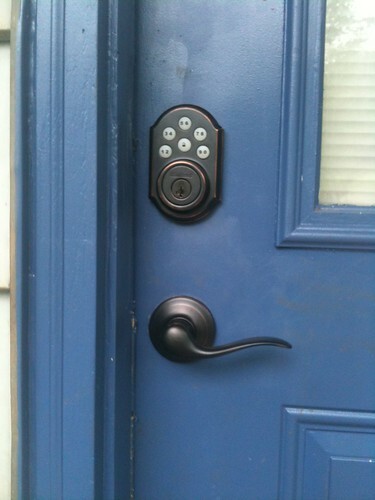 You can easily enhance the security system of your house by installing such locks. They are usually installed in commercial buildings and other areas where high security level is required. Today, keyless locks are widely used in car doors and building doors alike. Electric locks perform like any other locking system. The only difference is that they are not manually applied. A proper electronic mechanism is required for locking and unlocking the doors. However, they can be opened with a code on the keypad or with keys. For these types of locks, it is better if you look for a reputable Montreal locksmith who knows how to install this type of security system. A professional who has years of experience in this field would be the best option for this job. Combination locks are quite popular these days. They are more like a keyless entry and are installed in high-end buildings. The keypad works through a push button mechanism. There is no electric or digital coding device in these locks. The combination locks comprise of a special keypad that triggers the movement of a deadbolt mechanically. •	Any lock you purchase must meet the safety standards of the regulatory authority. This will make it easier for you to make a selection. •	If you live in an area where crime rate is high, it is better to go for Grade one locks. •	Before purchasing the locks, make sure you assess your needs first. For instance, if you have children in your home when you go for work, you need a smartlock system so that you can monitor and control the entry of people in your home during your absence. •	Look for a lock that can be easily operated by anyone in your house. •	Locks that are easy to use under a critical situation like, fire are always better. Remember, that no locks give hundred percent assurances to deter intruders. However, it is possible to reduce the chances of intruders by ensuring that all exterior doors are fitted with some high quality strike plates and deadbolt locks and you use them when you are at home or at work.